Dave insured his prints for $US35 each, so in October 1969 I had to pay $NZ8 customs duty on delivery. He chose for me what became known as his 1956 'Vengeful Sister' image from A Dialogue with Solitude, and a new 1967 picture of a woman in a Kansas City street. for me. They were beautiful prints, so different tonally and emotionally, like night and day. I got them framed to hang on our living room wall in Paparangi, where they joined two John Daley prints and some signed Paul Strand gravures from his then recent book, Tir A Mhurain. I couldn't afford much, but I was starting my own collection with work that I loved and was challenged by. Such is time, reputation (and inflation), that today, when I need to raise more money for my publishing ambitions, one of Dave's prints is much more highly valued in the art market than his other. One print from his edition of 10 Vengeful Sister's, sold at a Swann's New York auction for around $US17,000 a few years ago. That makes it the most expensive print in my collection, so far as I know. His other, equally strong but different, and virtually unknown 1967 image has been valued at around $US4,000, the price of a new work by a reputable photographer, or a solid early work by New Zealand's Laurence Aberhart or Anne Noble, for example. Admittedly, it is easier to love a classical image of a known theme - sibling warfare - than one of a clothed woman who continues to stare at the viewer with unsettling indifference. The disparity in market valuation, I suspect, is not so much to do with the content or craft of each work, but largely due to the fact that one has been often published and exhibited and the other has not. Collectors usually buy what they know - images or variants of images they have seen before - and examples with a pedigree of approval. Thus, Ansel Adams's 'Moonrise over Hernandez...', which in my view is not one of his very best works, but was eloquently written up by Nancy Newhall, became one of the all-time most-collected safe bets in photography. 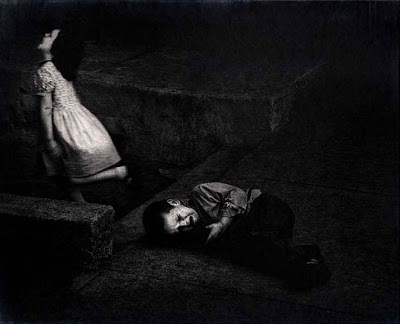 I will be sorry to sell my favourite Dave Heath picture, but the sale of that one print could pay for the cost of printing a whole new book in China. I haven't seen the new version but A Dialogue with Solitude was republished in a slightly larger format a few years ago and is already fetching a good price through outlets like Photo-eye (www.photoeye.com) which specialise in fine books and provides a valuable newsletter as well as auctions of quality books and prints. While thinking about selling his prints, I contacted Dave Heath via a 2011 blog by Chris Buck (chrisbuck.com), one of his past students, to let him know of my intention. Chris had done a good interview with Dave in a 2006 blog, and was alerting friends that Dave had been hospitalised after a paralysing fall in his bathtub. I forgot to mention that I did get my own copy of ADWS in 1969, when Dave sent me his only spare copy, which had a large blot on one page. The huge egg-sized hickey is an irritating eyesore when you get to it in the sequence, but I have come to think of it as special, in the way stamp collectors take perverse enjoyment (and cash) from printer's mistakes. Auckland :) Now 82, he has put his camera aside and given up printing his work. At the time we met there was an exhibition of 'A Dialogue with Solitude' plus an exhibition of his polaroids, 'Songs of Innocence IV (after William Blake)' at the National Gallery of Canada. And he was also presenting a massive sound-slide show of his collection of vernacular photos, called 'Le Grand Album Ordinaire' with a sound track of Beatle's music at the time. 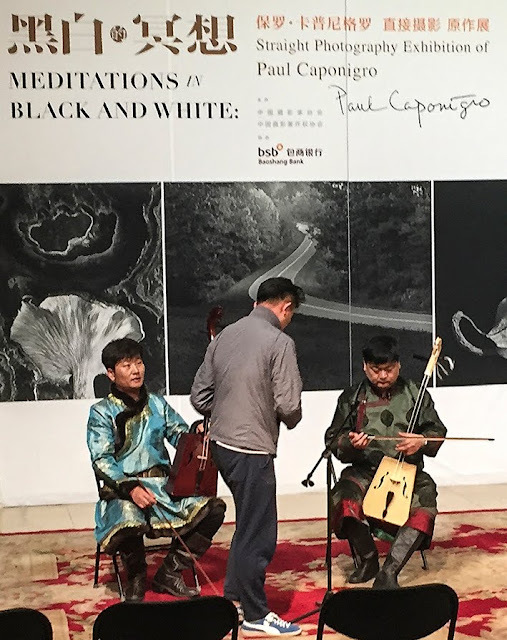 It was an ambitious and impressive presentation which did a lot to capture the zeitgeist of the 1960s-1970s period. I imagined that his second book, with the self-deprecating ironic title of Dave Heath's Art Show (www.cjoysterpublishing.com Ontario, (2007) may have grown out of his temporal multi-media productions, but he tells me that it is a collection of his digital colour work from 2001-2007. His latest book, Eros and the Wounded Self, was self-published in 2010 to no acclaim by Blurb. He got 25 copies to give to friends, he told me, and has sold three copies through Blurb. Well, blow me down - this is laughable - and crazy - that the latest work of this brilliant photographer could go the way of self-published never-promoted digital books by thousands of competent, and occasionally talented workers much less accomplished than Heath. The way to obscurity - or virtual disappearance, as well as fame, is paved by blurbia. But that is still better than completely hiding the work by not publishing at all. Blurb won't ship to my China address, I discovered, so while ordering a copy to be sent to Auckland instead, I decided to accept their discount of 30% on a second copy (smart last-second selling on their part). The books (hardbound version with dust jacket $US130.04, hardcover image wrap $US84.99) ended up costing $NZ150 each, and from the short time I spent looking at Eros and the Wounded Self on Blurb's website, and knowing Dave's earlier work, it is expensive but still good value. Why it hasn't been published as an offset book still alludes me. Dave said that one problem with Blurb and buying copies in batches is that each batch is printed by a different printer, so quality is a bit uneven. 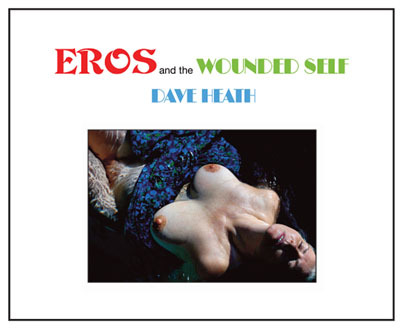 The typography and design of Eros and the Wounded Self looks like it could do with some tweaking, but Heath's colour photographs of women (mainly) are distinguished. The book is dedicated to 'Sarah, the unknown mother' and in one sense, he is still the orphan child searching and longing for that all-important figure missing in his life. But he is an adult now having to deal with the complexities of sexual attraction, beauty for its own sake, as well as a sense of betrayal and an intense desire for intimacy and acceptance. The kind of longing and restraint expressed in Leonard Cohen's exquisite line, "I touch your perfect body with my mind," can be applied to Heath's new work. And however palpable it can be suggested in a photograph, or however illusory, there is often a feeling of intense held-back intimacy about Dave Heath's work, whether photographing strangers or people he knows and this feeling is heightened by colour. 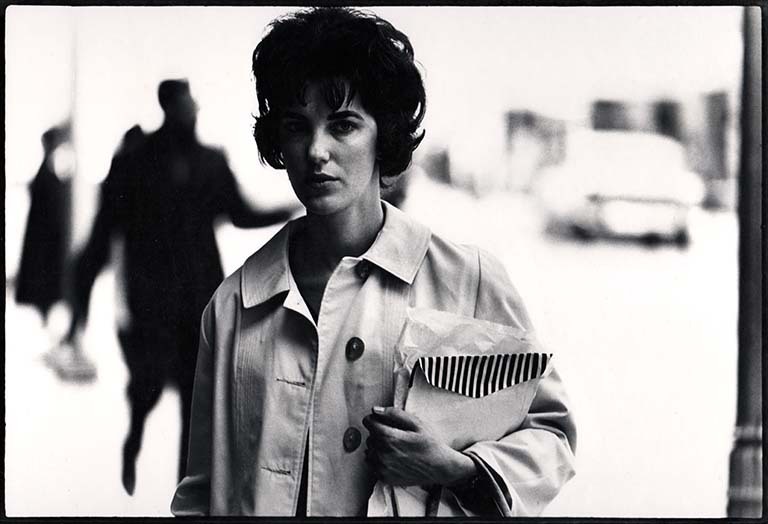 As Davis notes, a career retrospective curated by Michael Schreier was mounted at the Ottawa Art Gallery in 2013, and a book titled Dave Heath: A Heritage of Meaning, with an introduction by James Borcoman, was published by Blurb. 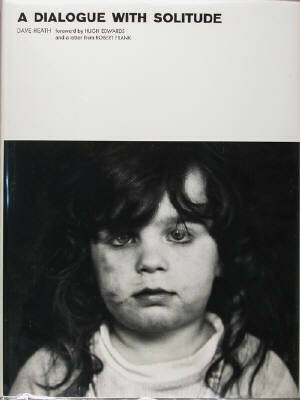 Davis's show, titled 'Multitude, Solitude: The Photographs of Dave Heath', with a book of the same title, debuted at the Philadelphia Museum of Art in the fall of 2015, and will be on view at the Nelson-Atkins Museum of Art, Kansas City, Nov. 19, 2016 – March 19, 2017. (1) In fact, I wanted to buy three copies of A Dialogue with Solitude to share around as an example of what could be achieved with a personal essay. Coincidentally, at the time I was helping John Daley to make his own book. Then a shy and lonely young photographer working at the DSIR (Department of Scientific and Industrial Research) in Lower Hutt, he spent his spare nights and days searching for the meaning of life in Wellington city. Tentatively called 'City under Surveillance' his essay, extended to include images of Auckland, was finally published 30 years later as The Big Smoke (2004). Heath's book helped point him in the direction he wanted to go, and even as a successful commercial photographer in Auckland, John continued to make his personal work as well as inject its spirit into commercial assignments. (2) I was never quite happy with the resolution of my 'Beer Garden Wall' series, and now realise that I had nobody, apart from Trish Godsiff, to enthuse about it and spur me on to surmount my hurdle of doubt. Making art is difficult enough, but making a fine photobook is more so. Not even the relative ease and low cost of electronic self-publishing can stop the niggling doubts of some of the talented people I know from preventing the birth of their own cherished book projects. Such niggles, in the big picture, are just that - small reservations with often little or no bearing on the actual quality of the work in question. But they are just as effective as bad timing, lack of ready funding, or the absence of positive support when it comes to aborting worthwhile projects. For a productive outcome, determination, courage, risk-taking, and anger at the world's indifference can beat the niggles every time. (3) I would like to thank Dave Heath for allowing me to present some of his images on this blog, and more particularly for his inspiration and generosity. I'm only just learning about designing this blog so the layout and typography is not yet what I am trying for, nor the selection of images as full as I would prefer. I'm looking forward to seeing Dave's latest books in the flesh. (4) I think the final picture in this set of my choice is of Dave's good friend Robert Frank and his wife June.